Today was the 12 year anniversary of when the Boston Bruins traded their captain Joe Thornton to the San Jose Sharks. 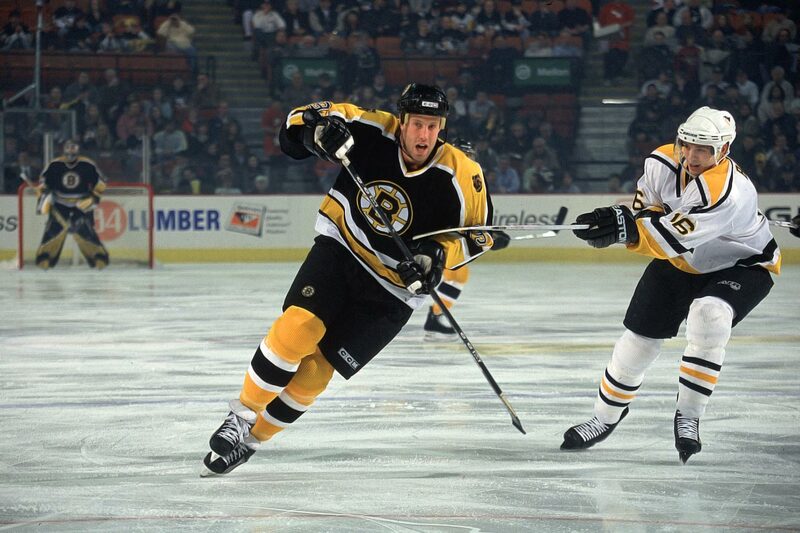 When he was taken by Boston with the #1 overall draft pick in 1997, Thornton was supposed to be the cornerstone of the Bruins’ organization for years to come, but the years that followed did go that way. In return, the Bruins got Marco Sturm, Brad Stuart, and Wayne Primeau. While Sturm was a good scorer for the team, and scored the game-winning goal in the 2010 Winter Classic at Fenway Park, none of the players from the Thornton Trade were on the Bruins when they won the Stanley Cup in 2011. Meanwhile Thornton won the Hart Trophy in his first San Jose season, was part of the Sharks’ 2016 run to the Stanley Cup Final, is still on the team, and deserved (in my opinion) to be named as one on the NHL’s 100 Greatest Players during the 2017 centennial festivities but got robbed. At one point, many thought Thornton would someday have his #19 retired by the Bruins, but instead he will go down as one of the greatest Sharks of all time. Despite getting so little in return for such a young and dynamic player, the Bruins recovered from their mistakes rather quickly. They were back in the playoffs in 2008, and were a legitimate contender for two years before breaking through and winning the Cup. But they recovered from the Thornton Trade the Bruins may have talked themselves into believing they had the ability to just keep giving away good young talent. While Peter Chiarelli was not with the Bruins yet when the Thornton Trade went down, trading that level player that early in their career became the signature move of the Chiarelli Administration. First, it was Phil Kessel to the Toronto Maple Leafs, and sure, that trade landed Boston the high draft picks to take Tyler Seguin in 2010 and Dougie Hamilton in 2011, but then you do the same thing a few years later with Seguin? A great team plunged into mediocrity so quickly Chiarelli wasn’t on the job anymore by the time they traded Hamilton. While I personally do not miss Hamilton the way I thought I would, I was frustrated by more of the same when it happened. For that same reason, I was fully expecting Don Sweeney to trade David Pastrnak, and subsequently fully relieved when the Bruins instead signed him to an extension. That is no way to build a winning hockey team. In writing about sports, I try to be rational. I try not to be a subjective homer. But I get the most irrational about hockey. It is my favorite sports, but also the one of the four major sports that I understand the least because I never played it in any organized fashion. I get most emotional when writing about the Bruins, because they are the team that it means most to me when they are good, and they are the team I am most frustrated by when they do stupid things like trading supremely skilled a higher quantity of players who are less skilled. Call my crazy, but I like having good hockey players on the team, and if this organizational pattern and philosophy leads to Patrice Bergeron retiring with his name on the Cup just once, I am going to lose it. It’s clear to me that Chiarelli has not learned from those trades. As the GM of the Edmonton Oilers, he has since traded Taylor Hall (making him for sure without looking it up the only executive to trade away the top two picks from same draft class), Nail Yakupov, and Jordan Eberle. No team in their right mind should ever trade Connor McDavid, but then again, the Oilers are the team that traded Wayne Gretzky to Los Angeles, and if there is any GM who might do it, it’s Chiarelli. Maybe Thornton really wasn’t right to be the guy in Boston, but he has been invaluable in San Jose, and it has been a joy to view his career from afar. I always liked Jumbo Joe, and I was happy to see him thrive in San Jose, but I can’t help but think about what might have been if he had been a lifelong Bruin.